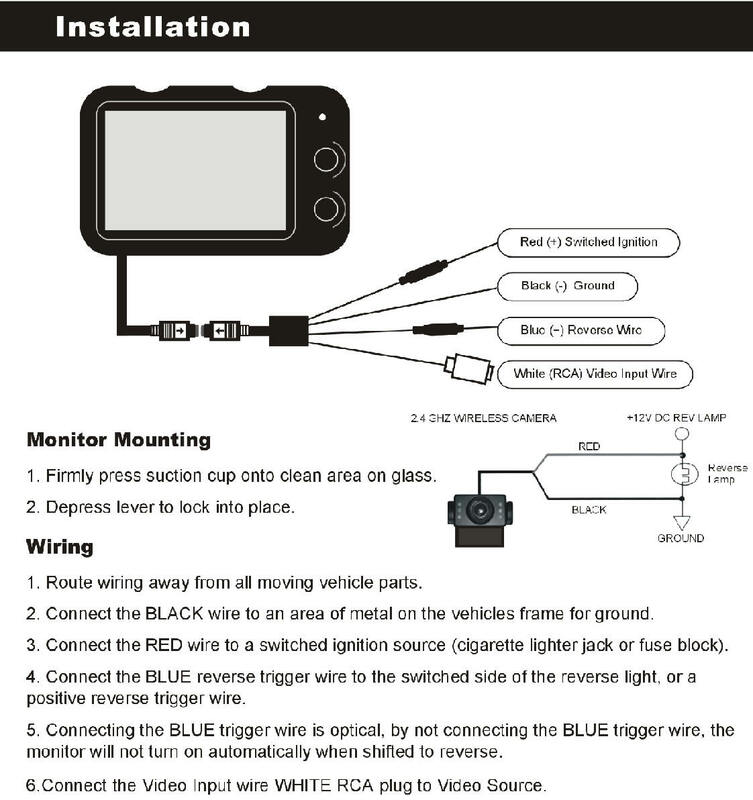 Wireless camera kit for car, Van, SUV etc. This is a complete kit - nothing else is needed. 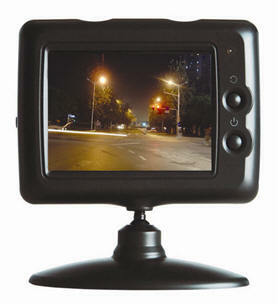 Installation of the camera can be done within 20 minutes (vehicle dependant). The time for the monitor will depend on if it is hard wired or cigarette adaptor powered. Operating Temperature: -20℃ ~ +50℃. Image swivel at 360 degrees. Great for Cars, SUVs, RVs and Delivery Vehicles. Resolution: 480 * RGB *234. Total Pixels:628 * RGB * 582. View Angle: H: 110°; V:80°. 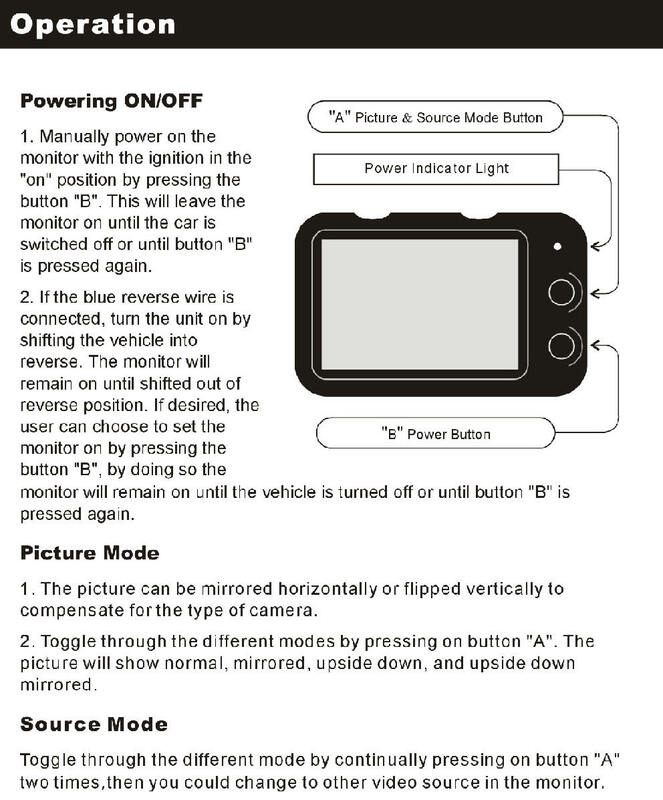 Image Sensor. VC 1/3” Color CMOS.